At Avvair Hair Replacement Studio in Madison, Wisconsin, our team of caring stylists and hair loss professionals can help you get the look you want and deserve. And if you are undergoing chemotherapy or other medical treatments, our totally undetectable European style human hair wigs and synthetic wigs will help you keep your hair loss and treatments secret, allowing you to live your life on your own terms. Every woman wants to look beautiful and radiate self-confidence. At Avvair Hair Replacement Studio in Madison, we are excited to offer the finest in affordable 100% natural European and synthetic wigs, designed especially for women who want the style and flexibility a fine wig can offer, as well as for those experiencing hair loss due to medical treatments such as chemotherapy and other forms of hair loss. 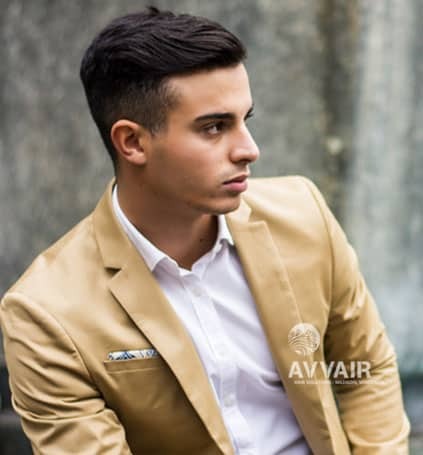 At Avvair Salon in Madison, we understand the emotional stress that losing your hair can cause, which is why we offer all our services in an atmosphere of confidentiality, privacy, and caring professionalism. Avvair Hair Replacement Studio in Madison, Wisconsin is not just about a hair cut. It’s about feeling better about yourself, your life, and your style. Our relaxing environment and high end styling will give you the confidence to succeed. Trust your look to our hand-picked team of expert hair stylists and professionals with absolute confidence. Our expert hair stylists and caring hair restoration professionals are at the leading edge of the most recent hair trends, styles, and hair treatments. And our passion for helping our clients find their perfect style and truly love their hair has earned us the trust and respect of thousands of Madison area men and women over the decades. Contact us today for a free, confidential hair loss evaluation. We will work one on one with you to answer all your questions and help you find the hair restoration solution that’s perfect for you.